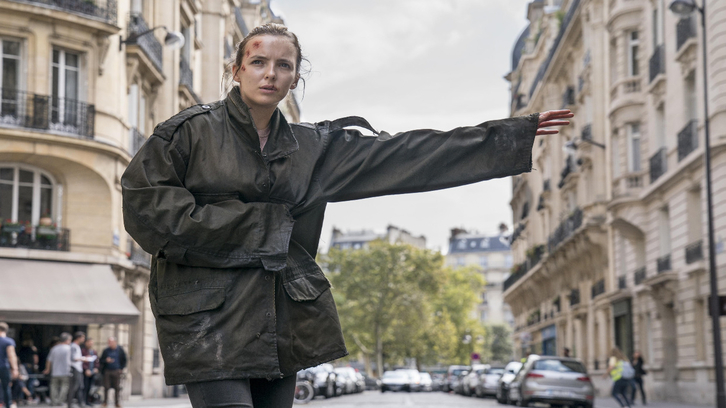 Hi there, near enough a year to the day that the show first burst onto our screens, BBC America's smash hit Killing Eve is back this Sunday. If you're not familiar with the show then for a brief recap, it's essentially the one show on air where you can actually root for the villain without questioning whether you need a psych test. It's also the one show on air that has not one, but TWO tremendously talented lead actresses and on the basis of the first two episode at least, might be one of those rare shows that avoids a sophomore slump. Much has been made of the fact that Phoebe Waller Bridge isn't as involved with season 2, due to her commitments to another pretty good show called Fleabag. Whilst she might not be as involved, the show still has its trademark wit about itself which is part of what makes it such great television. As you'll probably already know if you've been following news/spoilers, the premiere picks up quite soon after the finale finished. That's right! Not a time jump in sight! This allows the show to keep the tension up on maximum volume, but in some ways also slows things down a little? Villanelle has a pesky lil old stab wound that needs treating, and the ways in which she goes about getting help are quite humorous, even if the storyline essentially takes her away from Eve for the time being. That is somewhat ironic considering the question everyone keeps asking Eve is what happened in Paris? It's clear that she's struggling with what happened between her and Villanelle, and more importantly what she did to Villanelle. People want answers from her, in particular Carolyn, who continues to play Eve at her own game. It's clear that the show still has a bigger picture that it's working towards, and people in the shadows pulling the puppet strings, but eventually it will have to start answering some of its own questions otherwise things will get boring. Whilst the investigation into Villanelle's crimes might've shut down, that doesn't necessarily mean that Caroyln is done with Eve and nor is Eve done with Villanelle. 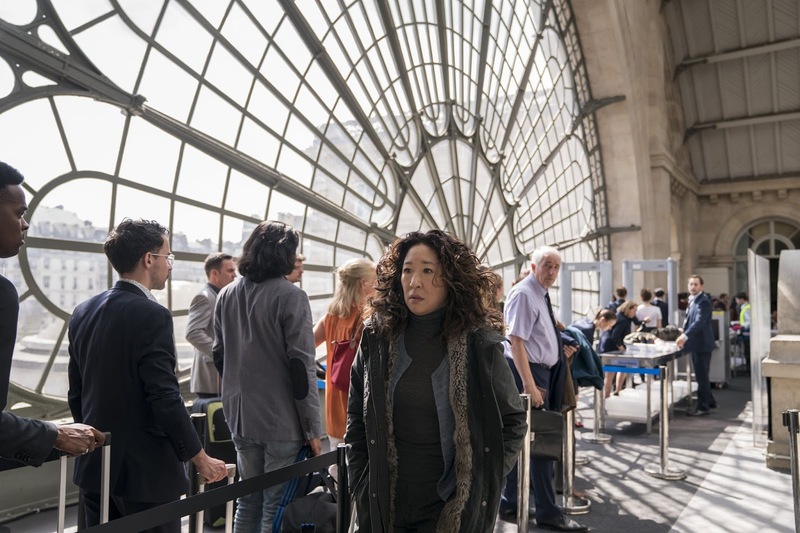 Whilst they are on two very different paths for the time-being, Eve does stumble across some information and make a startling discovery that in the long run will make Villanelle extremely unhappy. The premiere also sees the return of Eve's husband Niko, who just like everyone else has some questions for his wife, and just like everyone else he's treated to a rather interesting revelation towards the episodes climax. Most of Villanelle's screen time is spent on her stab wound, and that sees her make a surprising friend in a rather surprising place. Of course Villanelle is never allowed to have nice things, so there has to be some tears involved. She faces up to a particularly heartbreaking and poignant situation, which raises the question of the value of life and being cruel to be kind. 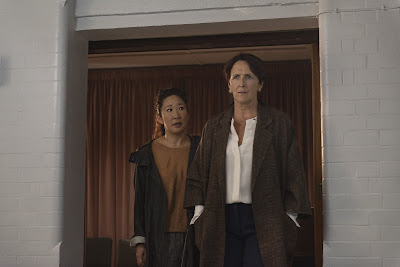 Do You Know How to Dispose of a Body isn't the most fast paced of episodes, but Killing Eve still makes it work. A lot of information is dropped, new threads sewn, characters introduced and tons of on brand humour. From the returning shows I've so far watched this year, it most definitely has one of the best premieres and it continues to be that addicting sort of television that you just can't tear your eyes away from and want the days to pass quicker so you can get to the next episode. You can catch the premiere this Sunday on BBC America.